Reza Gul protested her husband’s marriage to a seven year-old girl. So he cut her nose off. Gul, from Afghanistan, is hoping to raise money to travel to Turkey for reconstructive surgery. Reza Gul, 20, was attacked by her husband on Sunday after arguing with him over his decision to take a 6- or 7-year-old niece as his fiancée, Gul’s mother, Zarghona, told the Times. 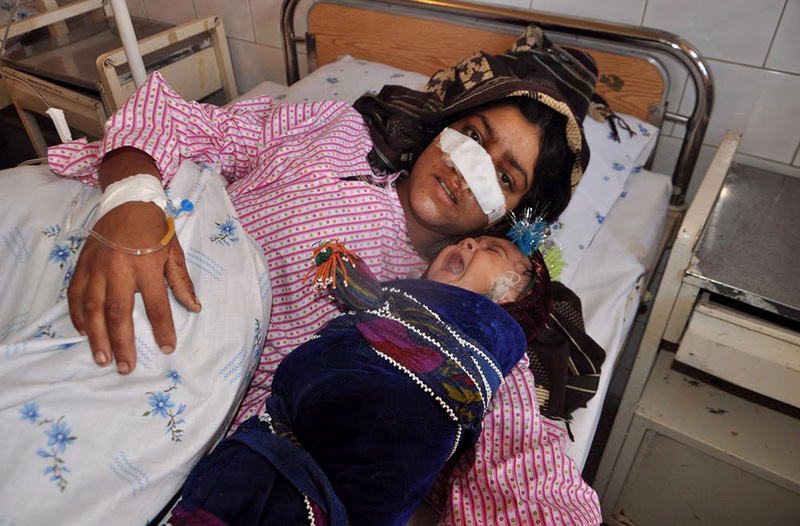 Gul’s husband, Muhammad Khan, 25, then allegedly cut off her nose with a knife. Khan and his family had beaten and abused Gul throughout her six-year marriage, Zarghona added. Gul brought her severed nose with her to the hospital on Monday and had already lost a lot of blood, according to hospital officials. But the local Afghan facility was not equipped to reattach her nose. Gul is seeking to travel to Turkey to have reconstructive surgery, according to the the Times. A police official told the Times that the Taliban had arrested Khan and is holding him in custody. According to the U.N., Afghanistan remains one of the worst places to be a woman, and violence against women remains “endemic.” Child marriages, like the one Khan was said to be arranging, are also common, robbing girls of the opportunity for education and often leading to abuse.